We all know how important it is to make sure your site is running the latest version of WordPress. Major WordPress releases often bring security updates and new features to the platform. And although the content management system allows you to update to the latest version by simply clicking a button, you can also update WordPress manually using FTP or SFTP. In this post, we’ll walk you through a step-by-step tutorial on how to update WordPress using both FTP and SFTP. 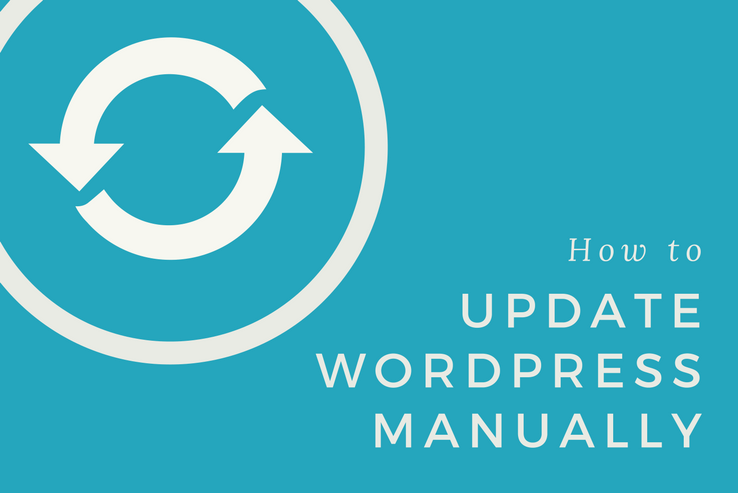 But before we dive into the tutorial, let’s take a look at why you’d want to update WordPress manually in the first place. Why Should I Update WordPress Using FTP? WordPress receives both minor and major releases. While it has the ability to handle minor releases by running the update automatically (i.e., without any input from the user), major releases need the website admin to initiate the update process from the WordPress back-end. Locked out of your #WordPress website? Find out how to update #WordPress manually using #FTP and #SFTP! But what do you do if the WordPress admin panel is inaccessible? A common workaround for this problem is to update WordPress manually using an FTP client. In cases when you’re locked out of your site’s admin panel, updating manually just might save your website from a hacking attempt. FTP clients allows website owners to access their site’s core files and even modify them, if necessary. Updating WordPress to the latest version is of paramount importance and if you fear that you may be locked out of your website (or have already been locked out) then you’ll have to resort to FTP to help you update your site. How Do I Update WordPress Using FTP? Manually updating WordPress using FTP isn’t nearly as difficult as it sounds. Even if you’re not particularly technically inclined, you’ll be able to follow the simple, four-step process easily. In this section, we’ll walk you through the different steps you need to take to update your WordPress website using FTP – the right way. To get started, you’ll need an FTP client. We’ll be using the FileZilla FTP client for the purpose of this tutorial, though you’re free to use whichever one you’re most comfortable with. Since we’re updating WordPress, the very first thing that you should do is take a complete backup of your website in case something goes wrong. And although it may seem difficult since you don’t have access to your site’s back-end, it is entirely possible to do. To get started, log into your FTP client and navigate to your site’s root directory. Next, create a new folder on your drive where you’d like to store your WordPress site’s backed up files. To do this, right-click in the Local Site section and choose the Create directory option. Give the new directory a name; we’ll call ours WordPress Backup. Now, select all of the directories and files that you’d like to include in your backup (from the Remote site section) and drag them into the WordPress Backup directory (in the Local site section). Once that’s done, you’ll have a complete backup of your WordPress site’s core files saved to your drive. You can also choose to back up your site’s database files if you’d like by using phpMyAdmin from your cPanel account. Alternatively, it’s a good idea to have a backup plugin installed to your website that takes regular backups. This way, if you’re ever locked out of the admin panel then at least you can rest assured that you have a backup saved to your drive or cloud storage. We recommend using the UpdraftPlus backup solution for WordPress websites. Head over to the official WordPress.org website and click on the blue Download WordPress 4.8 button. You’ll notice that a .zip file containing the latest release will be downloaded to your drive. Locate the .zip file on your drive and extract it to its own folder. Inside the file you should find a folder named wordpress that contains the latest release. Make a quick note of where you’ve saved the wordpress folder in your drive since you’ll need it in the next step. At this point, you should have a complete backup of your site’s core files and the latest version of WordPress saved somewhere on your drive. In this step, you can begin updating your website to the latest version by uploading the wordpress folder using FTP. To get started, log into your FTP client once again and navigate to the root directory. Next, locate the wordpress folder that you extracted from the .zip file in Step 2 from the Local site section. It should contain the core WordPress files and folders such as wp-admin, wp-content, and wp-login.php. Select all of the files in the wordpress folder from the Local site section and upload them to your site’s root directory by right-clicking and selecting the Upload option. It’s important to note that since we’re updating our existing WordPress installation, most of the files already exist in our Remote site. So, when FileZilla notifies you that the files already exist in the destination folder, simply choose to overwrite them. Once all of the files are done uploading from the Local site section to the Remote site section, your website will have successfully updated to the latest release of WordPress. Log into your WordPress website’s admin panel and check to see if you have any notifications by navigating to Dashboard > Updates. If you see something that reads Database Update Required, then you’ll need to update your site’s database. All you have to do is click the Update WordPress Database button on the same screen. If everything goes as planned, you should see a success message displayed across the screen moments after initiating the database update. How Do I Update WordPress Using SFTP? According to the WordPress Codex, there are two ways to update using SFTP, the easiest of which is by using the SSH SFTP Updater Support plugin. If your server uses SFTP, then you can use the SSH SFTP Updater Support plugin for WordPress to update your site to the latest version of WordPress. To get started, log into your WordPress website and navigate to Plugins > Add New from the admin panel. Search for the SSH SFTP Updater Support plugin. Once you’ve found it, install and activate it to your WordPress website. After the plugin is activated, you’ll be prompted to enter your authentication details, enter the server’s host IP, your SSH username and password, and the connection type. Remember to replace the username, password, and the IP address with your own login credentials and IP address. However, if you’d like to be more hands-on with enabling SSH/SFTP updates for your WordPress website then you can always take the manual approach. Being an open source content management system, WordPress brings some pretty neat functionality to the table for people who’d like to be just a bit more hands-on with their website. Thankfully, updating WordPress manually is a simple four-step process that just about anyone can follow. Start off by taking a complete backup of your WordPress website. Download the latest version of WordPress from the official website. Upload the latest version of WordPress to your server via an FTP client. Update your WordPress website’s database. The next time you’re locked out of the admin panel or simply want better control over your update’s settings, be sure to give this tutorial a shot. Do you have any questions about how to update WordPress manually using FTP or SFTP? Let us know by commenting below!